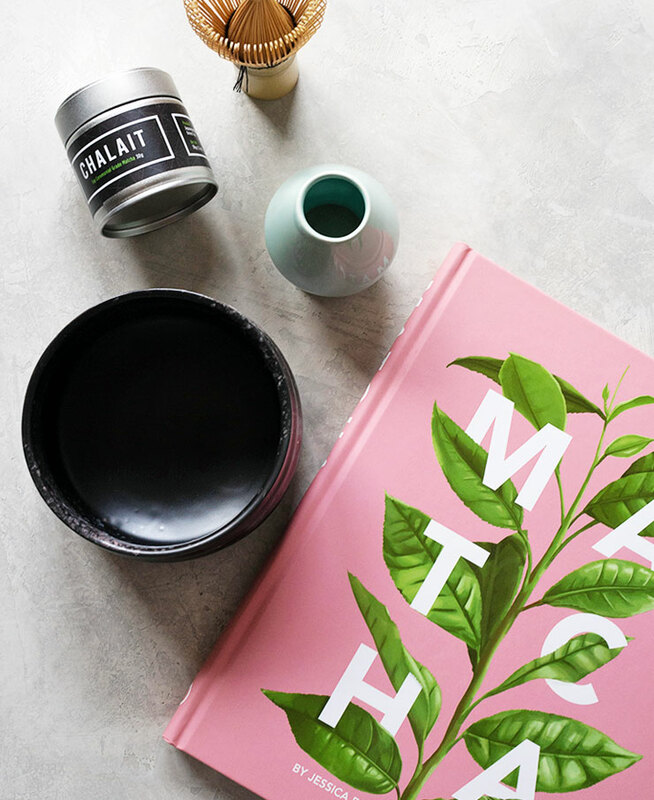 Enter the Chalait Holiday Giveaway for a chance to win a matcha book and a matcha kit including Chalait’s Top Ceremonial Grade Matcha. Chalait is one of my go-to cafes for healthy yet tasty lunches and matcha drinks. I usually go to the Hudson Street location but they have three other locations in NYC, including a brand spanking new one on the Upper West Side. 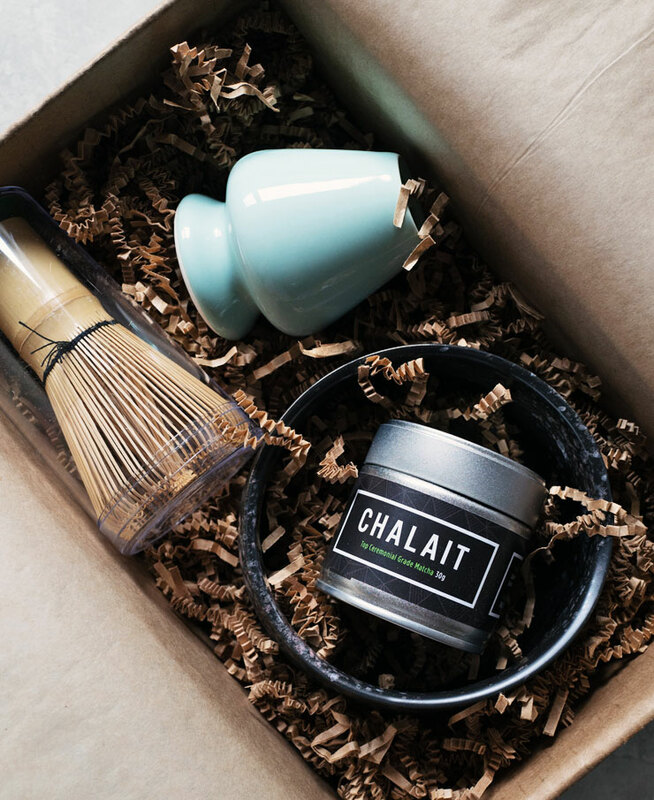 Thanks to Chalait, we’re giving away a fun prize set all about matcha valued at $135! A book all about my favorite tea, matcha. The first part of the book tells you everything you need to know about matcha. 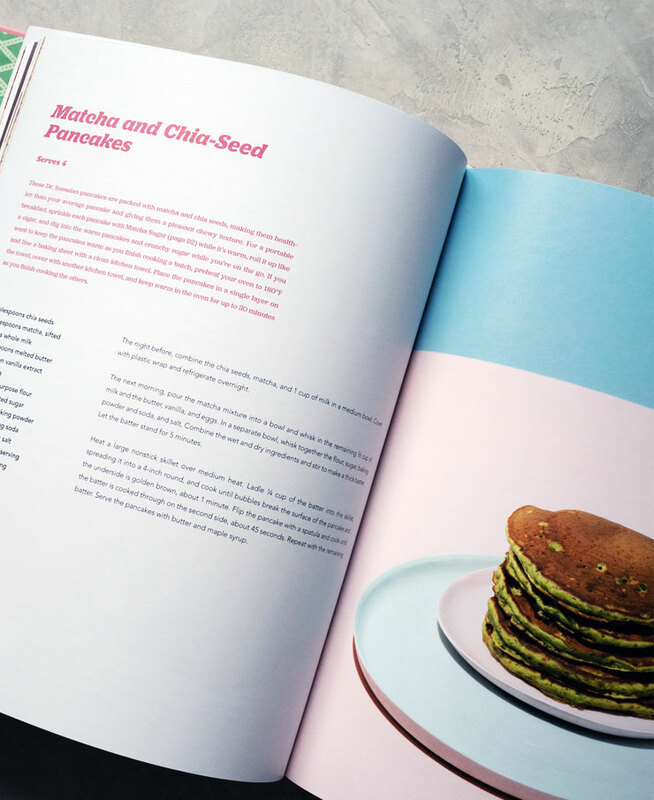 The second half is filled with colorful photos of matcha-based recipes from sweet desserts to fun cocktails. This set is a great starter kit for anyone that wants to make matcha at home. A 100 prong whisk (the more prongs, the easier the matcha is to whisk), a stand to hold your whisk when not in use, a very pretty dark matcha bowl, and of course, ceremonial grade matcha that’s a lovely, bright shade of green. For a chance to win, enter your email address in the form below. Enter every day for a better chance of winning. Giveaway prize courtesy of Chalait. Wow!!!!! This would be an awesome win!!!!!! !